Body lotions or butter are a must during winter. My skin tents to get really dry during winter time, so after shower/bath I always put a moisturiser on the skin. I like to own variety of moisturisers, as I like to have a choice of scents. 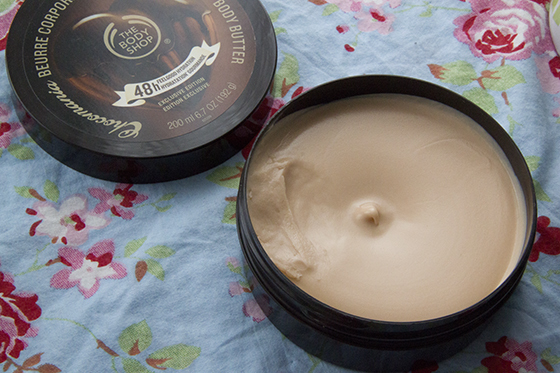 The Body Shop body butters are my favourite choice during winter, as the consistency is very thick, but smooth. The range of scents is also amazing. 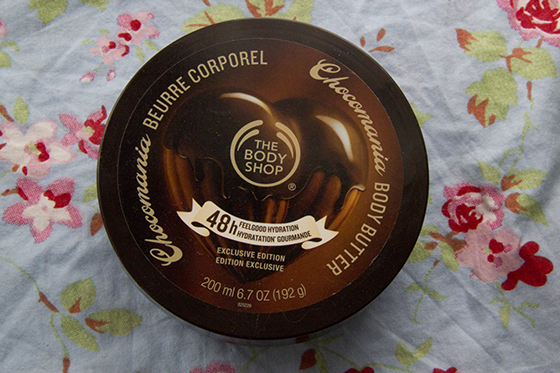 The Body Shop Chocomania range is actually really nice, the smell of chocolate isn't very overpowering. Although when you wear it you will smell like a "walking chocolate". The scent is very long lasting on the skin, last for around 10-12 hours on the skin. Sometimes when I just don't feel like smelling only like chocolate I mix it with coconut body spray, my favourite mixture. Chocomania is very thick like all Body Shop Butters, but then once you apply it on the skin it's really smooth and absorbs really well. Although it doesn't belong to super fast absorbing lotions, I recommend only using it before bed. It's very moisturising on the skin. Personal note it doesn't taste as great as it smells. This is one of the best. Smells gorgeous! I'm wearing this right now, and agree wit the taste bit haha, sometimes I get it in my mouth from my hands and it's awful! Smelt this in the shop other day smells amazing!!. I have the mango one from there. 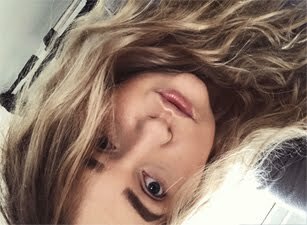 don’t have any computer skills or any computer experience. you are up on your little pedestal. I do like chocolate but I don't know if I would want to smell like a walking chocolate! I use body butter . It is won my mind.An excellent gift I received this Christmas was a wide assortment of skin care products from Bath and Bodyworks. As I've gotten older, I guess my skin just isn't as good at taking care of itself anymore. Oh my! That looks yummy. I can tell how good it is for my skin.